A Double Contemporary Heart in the colours of your choice. 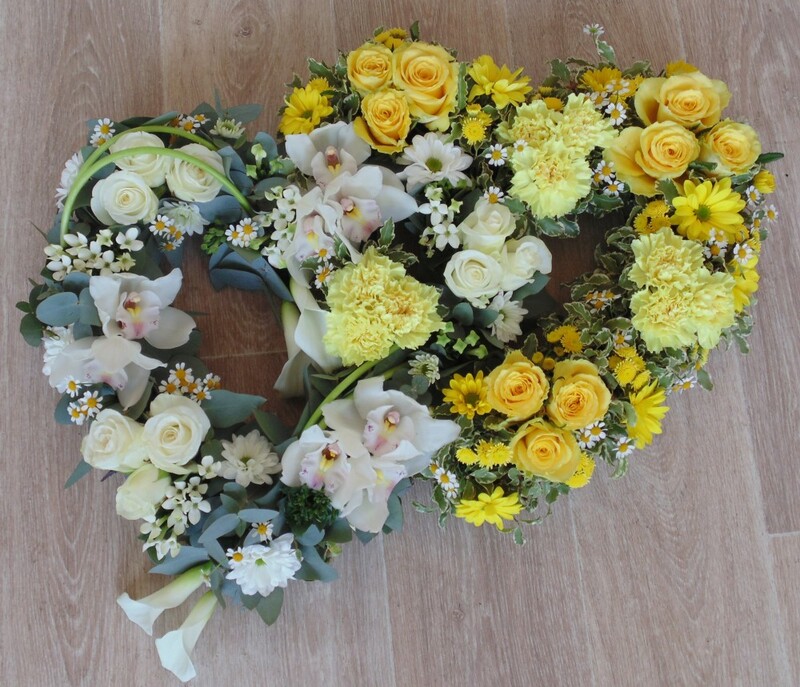 We can use orchid, calla, rose or most other flowers to make this Sympathy Tribute look amazing. Includes delivery in Milton Keynes and surrounding area...please ask for details.